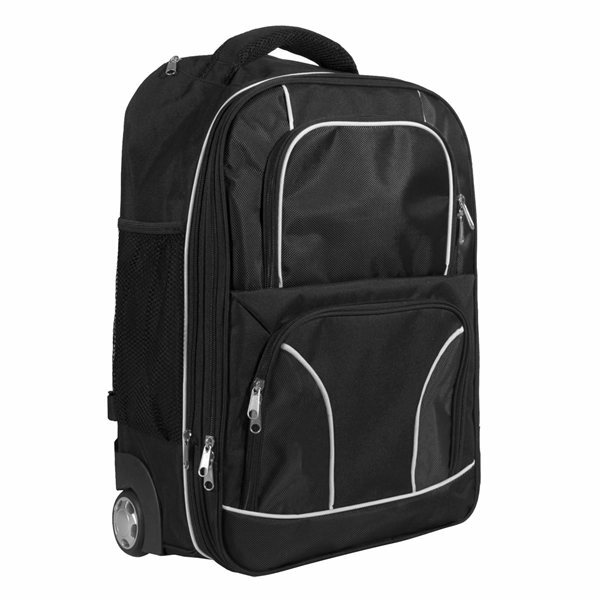 Rolling computer backpack. 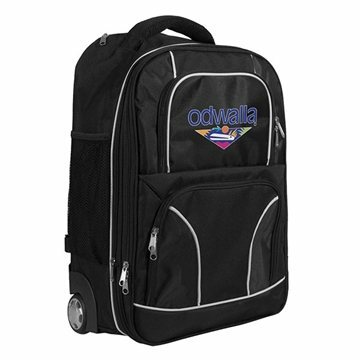 Expandable features turn this into a great travel bag. Zippered secure pockets, two side mesh pockets, two front full size zipper-secured pockets for all your traveling needs. Protective inner lining. Comfort grip handle, self-locking internally stored telescopic handle system and EZ-roll, in-line skate wheel system for a smooth ride. We are amazed with the great service provided! the product is great! We want to re order the same! hopefully we can get the same price! everything was great. We got them in a very timely manner. I think we might have even got them the day right after they were shipped. Good value for our money.